Donald Trump and EPA Administrator Scott Pruitt are reviewing Obama-era clean car standards– a move that could drastically increase carbon emissions. President Obama’s clean car standards are a core part of his environmental legacy – but Pruitt’s “review” threatens these standards and opens the door for a complete roll back of these vital public health protections.Tell Pruitt that we won’t let him roll back emissions standard for automaker and oil company profits. 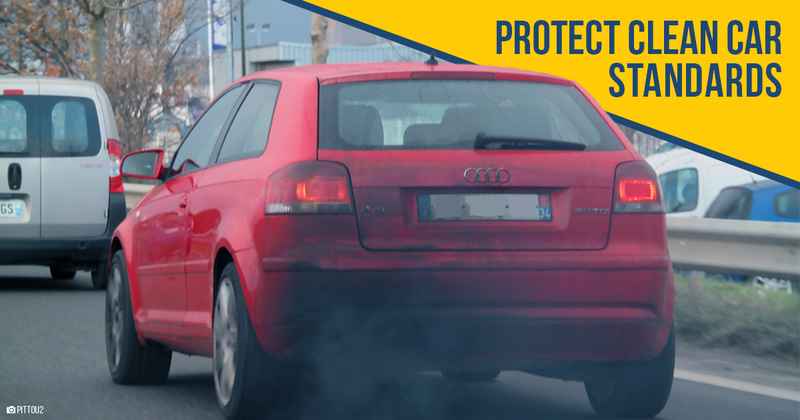 Tell EPA Administrator Scott Pruitt to Uphold Clean Car Standards! Your choice to review President Obama’s emissions standards for automobiles is deeply concerning to me. More stringent fuel efficiency standards are good for our planet, good for our health, and good for consumers. Carbon pollution from the transportation sector are fueling climate change, and at a moment that Hurricane Irma is devastating Puerto Rico and Florida, and large swaths of Texas are still recovering from Hurricane Harvey, this action is dangerously irresponsible. The EPA is tasked with protecting our environment and our health. I urge you to keep President Obama’s clean car standards in place to protect our air and our climate.